Only 106 miles separate Havana from Key West, but the difference between Cuba and U.S. makes them feel a world apart. Why? The simple answer is communism. How did the perils of communism hit so close to our own shores? And what are the prospects for the future of the Cuban people? Join us as we team up with the Victims of Communism Memorial Foundation to learn about communism in Cuba! We’re excited to welcome John Suarez, director of research at the Center for a Free Cuba, for this important discussion. As usual, we will have ample appetizers and an open bar! There is free covered parking in the lot attached to the restaurant. The formal portion of the evening will begin at 7:00 pm, but be sure to come by early for some networking time. You won’t want to miss this excellent opportunity! 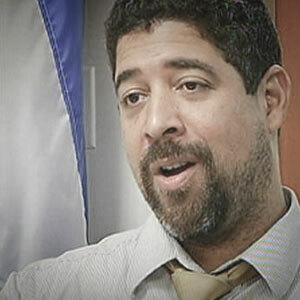 John Suarez is the Director of Research at the Center for a Free Cuba. This organization aims to promote a peaceful transition to a Cuba that respects human rights and political and economic freedoms. Their strategy is three-pronged: (1) Supporting the inalienable right of the Cuban people to determine their destiny, (2) urging men and women of goodwill everywhere to lend their voices to the cries for help of the Cuban people, and (3) mobilizing democratic governments around the world to institute policies toward Cuba that promote genuine reforms. The Victims of Communism Memorial Foundation tells the truth about communism because their vision is for a world free from the false hope of communism. Their mission is to educate this generation and future generations about the ideology, history, and legacy of communism. Communism promises to make everyone equal, but delivers radical inequality. Every time it is tried, it ends either in economic collapse or a police state. Those witnesses with a living memory of 20th century communism are passing away. And an entire generation of Americans is open to collectivist ideas because they don’t know the truth.